Published on June 13, 2010 in General T&T, International, People's Partnership, Tourism and UNC. 8 Comments Tags: FIFA, Football, Jack Warner, South Africa, World Cup. 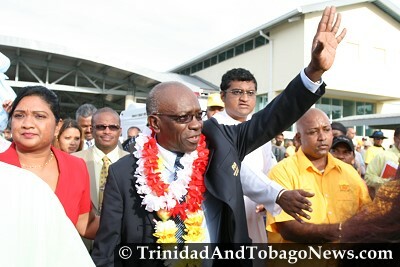 June 15, 2010 – A warm welcome for Jack Warner at the airport on his return from FIFA’s World Cup in South Africa. Later, Mr. Warner attended a Puja in his honour. Published on June 13, 2010 in Culture, Elections, General T&T, People's Partnership, PNM, Politics, Race and Identity and UNC. 46 Comments Tags: African, Heru, India, Jack Warner, Kamla Persad-Bissessar, Politics, Racism, T&T Govt. THE EDITOR: Many Africans, especially those who have traditionally supported the PNM, are concerned about a possible racist, Indian backlash from this People’s Partnership government. In examining these concerns we also have to understand the difference in the dynamics of racial politics today. We have to examine the significance of Jack Warner as chairman of the UNC (an Indian-based political party) and Cabinet minister in the People’s Partnership government. 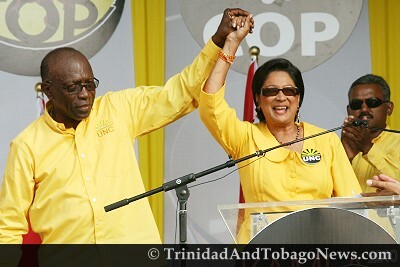 We also have to look at the shortcomings of the PNM as it pertains to race relations. Published on June 13, 2010 in corruption, Finance, General T&T, People's Partnership, PNM, Politics, Religion and UDeCOTT. 3 Comments Tags: Calder Hart, Guanapo church, Integrity Commission, Patrick Manning, Politics, T&T Govt, UDeCOTT. 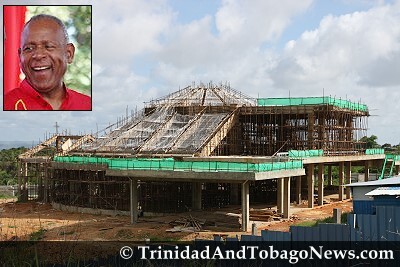 REVELATIONS about the controversial cathedral-of-a-church being constructed at Guanapo suggest that ex-prime minister Patrick Manning may have been more involved in the project than he suggested when the issue was first made public. The new People’s Partnership Government has commissioned investigations into the project. Should our worst fears come to pass, though, it would be ironical that religious fervour, seen by many as the road to salvation, would instead turn into the seed of destruction for Mr Manning.